2012 is the national year of reading and libraries around Australia, throughout the year, will be hosting a range of exciting and interesting events to coincide with the national program Love2Read. The focus is to promote and increase the literacy levels of all ages in the community. Why is reading so important? Statistics in Australia show that nearly 46% of the population experience difficulties with reading a newspaper, medical prescription and directions, transport timetables or follow written instructions. During 2012 Public Libraries around Australia will play an even greater role as a connecting hub for people of all ages and backgrounds within the community, as many reading activities, self interest groups and programs will be made available to libraries and on-line, so people can benefit from a love of reading. Coinciding with the national program Love2Read many libraries in South Australia conduct various programs such as Book Clubs @ Your Library to encourage reading. This program is also known as Book Clubs, Library Book Groups, Readers' group, Better Reading, Read Aloud for Adults and Book Discussion Groups. Irrespective of the name, all these programs have a common purpose of helping people discover and rediscover the joy of reading in a social and stimulating group environment. Some groups meet in meeting rooms provided by the libraries while other groups arrange their meetings in coffee shops and community venues. The national program Meet the Author provides visiting authors to Public Libraries to discuss their writing experiences and encourage people to further their reading, discuss writing techniques, share ideas, develop their own writing skills and critique works with other writing enthusiasts in a supportive environment. The following Public Libraries host Meet the Author and Book Clubs @ Your Library programs, while some libraries call these programs Author Event, Book Launch and All About Books. The Adelaide City Council Library supports Book Clubs at 3 locations. Monthly meetings are held on the first Thursday of each month at meeting rooms at the North Terrace and Hutt Street Libraries as well as the North Adelaide Community Centre. 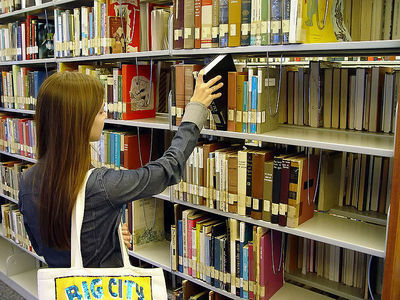 The Adelaide City Council Libraries Book Clubs even have their own motto: Read great Books. Meet great people. Meet at North Terrace Library from 11.00am - 12.30pm. Meet at 176 Tynte Street, North Adelaide. 1st Thursday of each month from 6.00pm - 7.30pm. 3rd Thursday of each month from 1.00pm - 2.30pm. For further information please contact Adelaide Libraries on 8203 7990. City of Mitcham Libraries support nearly 20 Book Discussion Groups which meet each month, either during the day or evening at the libraries or in members' homes. The libraries supply sets of books and the groups gather together and discuss the selected book over refreshment. For more information concerning Book Discussion Groups please contact the Mitcham Library on 8372 8244 or the Blackwood library on 8370 8255. City of Mitcham Libraries host special events called 'All About Books' where writers discuss their writing, inspirations, writing career and life experiences. 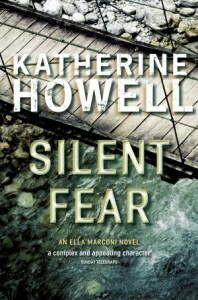 Katherine Howell - Book launch of Silent Fear. 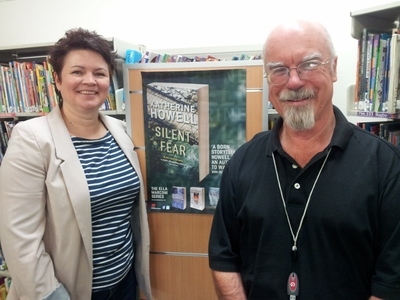 In February, in conjunction with Mindfield Book Gallery Katherine Howell, Crime Author and two-time Davitt Award-winning author launched her latest novel, Silent Fear. Katherine talked about her experiences as an Ambulance Officer and the characters she writes about. 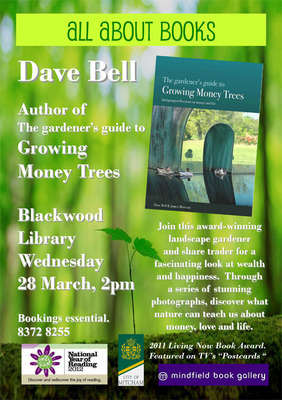 Dave Bell, the award winning landscape gardener and share-trader will provide a fascinating look at his collection of photographs and discuss his book Growing Money Trees. Dave will show you what you can learn from nature about money, love and life. Venue: Blackwood Library - 28 March, 2012 @ 2.00pm. Bookings essential. Please phone 8372 8255. 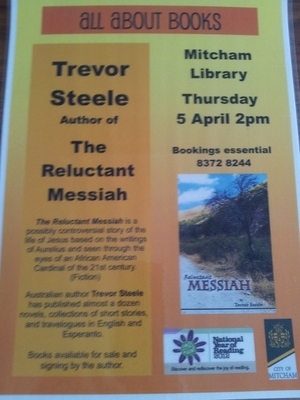 Trevor Steele, will discuss his controversial fictional biography of Jesus, 'The Reluctant Messiah.' Trevor has written several novels and travelogues in English and Esperanto. Venue: Mitcham Library - 5 April, 2012 @ 2.00pm - 3.30pm. Bookings essential. Please phone: 8372 8244. Blackwood Library supports the Blackwood Writers' Group, which meets about every 4 weeks at Blackwood Library. The group comprises of various types of writers who provide mutual support and constructive feedback on each other's work in a friendly environment. As part of the Children's Authors' program the City of Mitcham Libraries will host 3 Australian authors - Coralie Creevey, Margaret Just and Norma Zegarra Watson who will read from their recently published books. Come and meet them. Signed copies will be available for purchase. Venue: Mitcham Library, 154 Belair Road, Hawthorn. When: 10.30am - 11.30am on Wednesday, 11 April 2012. Bookings are essential. Please phone: 8372 8244. City of Burnside Library has several Book Groups, which meet Monday and Wednesday afternoons and Thursday evenings once a month. The total number of library organised Book Groups and Self-organised Book Groups totals more than 80 groups. It is advisable that new members register their interest by contacting the library's Book Discussion Group Coordinator to organise their first Book Group meeting on 8366 4280.to organise their first Book Group meeting. Self-organised Book Groups can arrange to borrow a set of books from the Library's book collection for up to 6 weeks, subject to availability. The annual subscription is $155.00. For further information concerning Book Clubs please contact the Book Discussion Group Coordinator on 8366 4280. Burnside Library hosts special events called Meet the Author. Maree Wrack will present her new book ' Champagne Life on a Beer Budget.' Maree will discuss easy ways to gain control of your money and still live it up. Venue: Burnside Library on 29 March 2012 @ 7.00pm. Cost: $5.50 per person and includes wine and nibbles. Jane Brummitt joint author of May Gibbs: More Than a fairytale.' 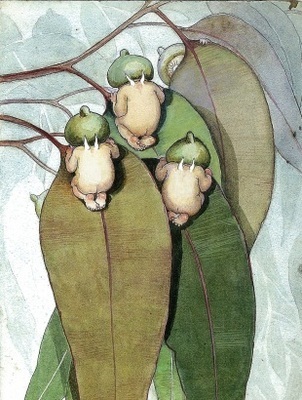 Jane will discuss May Gibbs' Family's arrival in Adelaide and the time the family lived in Knightsbridge (now Leabrook) where Jane has lived for nearly 50 years. Venue: Burnside Library on 22 March 2012 @ 7.00pm. It is a free event and includes wine and nibbles. Bookings for events are essential. Please contact library on 8366 4280. Mary Gibbs More than a fairytale. West Torrens City Council Library provides 4 Book Clubs for members. Their meetings are held once every 4 weeks in meeting rooms at the Hamra Centre library. The Library also provides book sets from the Book Club Collection to several Private Book Clubs which are have full membership at present. However, members are able to organise their own Private Book Club, which the library will provide upto 10 copies from the sets from the Library's book collection, for upto 6 weeks. 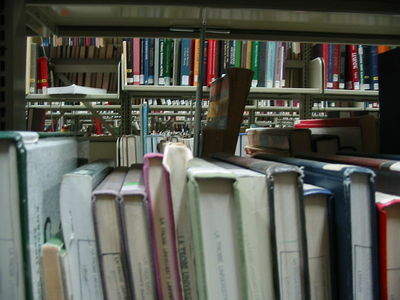 The library does not charge an annual subscription for the Book Collections. WTCC libraries also provide the program Read Aloud for Adults. The library arranges for a speaker to read to the members from a classic or contemporary book. After the reading the members have an opportunity to discuss the book in a friendly environment over tea and coffee. Read Aloud for Adults is held every 2 weeks and it is advisable to book due to its popularity. For further information regarding Book Clubs and Read Aloud for Adults please phone the library: 8416 6228. City of Tea Tree Gully has 16 independently organised Book Discussion Groups that conduct their meetings in the library meeting rooms or in cafes and coffee shops. New members are welcome and for further details please phone 8397 7333. Tea Tree Gully hosts Book Launches and Meet The Author Events with visiting writers and poets throughout the year. Connie Berg, a published writer will conduct a hands-on workshop for budding writers entitled 'Get Started with Writing' in the library Relaxed reading Area. There is no charge and booking is recommended. This special event is on Thursday, 29 March 2012 @ 2.00pm. Maureen Mittson, published author of 'Paper Chase' will launch her first novel coinciding with National Year of Reading 2012. The event will be held in the Relaxed Reading area in the Tea Tree Gully Library on 16 May 2012 @ 6.30pm - 7.30pm. An Author Event with Rose Helen Mitchell winner of 2011's SA People's Choice Award will talk about her life and launch her book 'Siege of Contraries.' 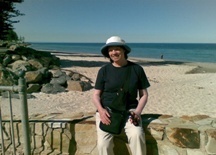 Rose's book began as an idea during a tutorial while doing an Honours' year tutorial in a Creative Writing Course at Adelaide University. Venue TTG Library on 19 April 2012 @ 11.00am. It is free and morning tea is provided. Adelaide Hills Council Library Service has about 25 independently organised Book Discussion Groups that conduct their meetings in community rooms, members' homes and coffee shops. The library service hosts 2 Book Groups, which meet at the Stirling Library and The Community Room at Aldgate. Each Book Group has generally 10 - 12 members and meet once a month. Adelaide Hills Council Library Service hosts Meet the Author events where writers discuss their books and writing experiences. Meet Louisa Rose, chief wine maker for Yalumba Wines & Hill Smith Estate Vineyards and accredited as one of Australia's foremost wine makers and a leading judge. Louisa will discuss Australia's wine regions and the wines they produce. A wine tasting will follow. Venue: Coventry Library, Stirling on 23 March 2012 @ 7.30pm. Cost: $8.00 FOLS Members, $10.00 non-members. [ADVERT] Walkerville Library has one Book Club, which meets last Wednesday of every month, except in December. Meeting time: 6.30pm - 7.30pm. Membership is free. Currently group is full. Names can be added to a waiting list. Self-organised Book Groups can negotiate with Carolyn to access sets of books for free. Walkerville Library provides free for children Literacy Activities that are tailored around age-appropriate child motor, literary and linguistic development needs. Held 3rd Monday of the month @ 10.30am. provides an opportunity for parents to meet other parents, grandparents and carers; and for parents and their babies to combine song and movement through shared nursery rhymes. Held 1st and 3rd Wednesday of the month during school term @ 10.30am. Provides opportunity to share picture books, songs and movement and craft activities. Held every Friday during term time @ 10.30am. A focused share-reading session, followed by a more advanced craft. Danyse Crotti formerly the Chief Chef at The Raj, one of America's top Ayurvedic Health Spas. Danyse is a food educator, chef and best-selling author of Alkaline Alive. 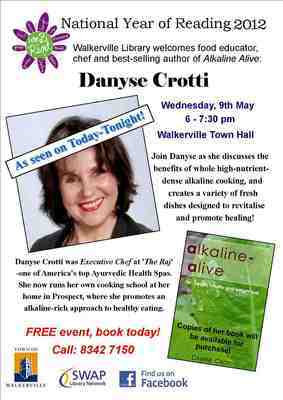 She will be speaking on Wednesday, 9th May 2012 @ 6.00 - 7.30pm at the Walkerville Town Hall. Free event. Booking essential. Please phone: 8342 7150. City of Onkaparinga Libraries support several Book Groups and Self-organised Book Groups that meet once a month. 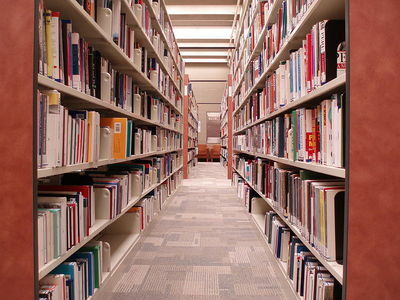 The library provides up to 10 copies of books per book set from the Book Club Collection to the groups. Some groups prefer to read a mixed collection of books from the same genre i.e. crime or fantasy, and the members exchange their feedback and reviews in a friendly environment. Onkaparinga Libraries host a special event called 'Get Reading where writers discuss their latest books and share their writing experiences. 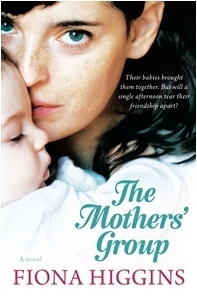 Fiona Higgins, author of The Mothers' Group, will be speaking at the Woodcroft Library on 17 April 2012 @ 11.45 pm - 1.00 pm. For more details please contact Woodcroft Library 8384 0050. Tim Marshall's The New Organic Gardener. 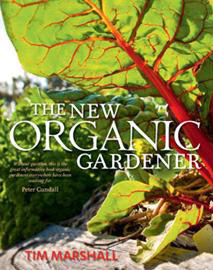 Tim Marshall will be talking about his book The New Organic Gardener. Tim's book is a guide to organic gardening practices to help grow whatever you want, not just fruit and vegetables. Venue: Seaford Library on Thursday 22 March 2012 @ 7.00pm - 7.45pm. Bookings essential: Please phone: 8384 0044. This special event is in conjunction with Shakespeare's Book Shop, Port Noarlunga. Alastair Sarra, author of Prohibited Zone, will be speaking on Thursday, 10 May 2012, 7.00pm - 8.00pm. 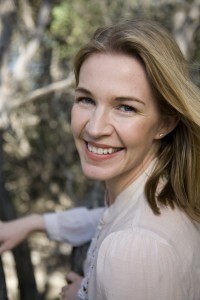 Liz Harfull, author of Women of the Land, will be speaking on Wednesday, 23 May 2012, 6.00pm - 7.00pm. For more details on Get Reading events at The Hub Library, please contact The Hub Library on 8384 0100. Unley Library Service has a total of 16 Book Clubs, 4 are held in library meeting rooms; 12 are privately organised Book Discussion Groups. All groups receive sets of books from the Library Service. Unley Libraries hosts Get Reading events whereby writers discuss their books, creative influences and writing experiences. Fiona Higgins author of The Mothers' Group, will be speaking at the Unley Library on Tuesday, Library on 17 April 2012 @ 2.00 pm - 3.00 pm. Cost is free and includes afternoon tea. Bookings are essential. Please phone 8372 5100 or 8271 0988. 1. Write a fictional story using a classic novel as your inspiration. 2. Write a non-fiction story about why you love a particular classic story. The competition has eight prizes to be won with awards for winner and highly recommended for each of the four categories - Adult Fiction, Adult Non-fiction, Youth Fiction, and Youth Non-fiction. City of Port Adelaide Enfield Public Library Service support 4 Book Clubs with a maximum of 10 members per group. First Monday of each month at 10.00am - 11.00am. Third Monday of each month at 10.30am - 11.30am. First Wednesday of the month at 1.30pm - 2.30pm. Second Thursday of the month at 2.00pm - 3.00pm. The Library Service supplies the books to be discussed for each Book Club as well as the refreshments. 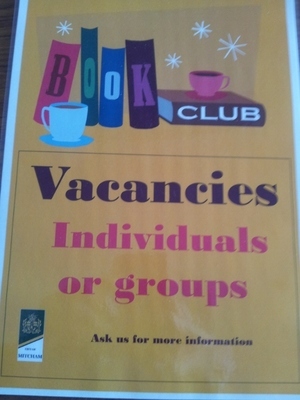 New members are advised to contact the Library technician for Events & Marketing on 8405 6540, as due to the popularity of some of the Book Clubs waiting lists may apply. Calling Semaphore Writers! Port Adelaide Enfield Library Service is looking to establish a Writers' Group at Semaphore Library. It is proposed that writers and writers-in-the-making meet once a month at the Semaphore Library. This group would be independently organised by its members. People interested, please phone 8405 6580. Holdfast Bay Library Service provides the Book Sets for approximately 22 Book Reading Groups, comprising mainly of Self-organised Book Groups. The groups organised their meetings and get together in cafes or members' homes. For more details please contact the Brighton Library 8229 9988. 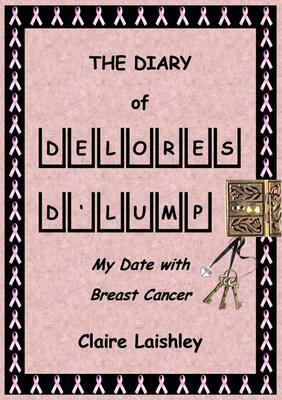 Claire Laishley will discuss her latest book, The Diary of Delores D'Lump, as well as her inspirations and writing career. Limited spaces - Bookings essential - please call 8229 9988. Book selling & signing after the event - All books $25 - cash only. Why? 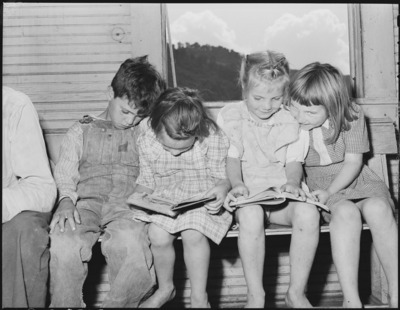 To promote and raise literary levels in Australia so more Australians of various ages and backgrounds will discover or re-discover a love of reading. When: Now and until the end of 2012. Cost: Most programs and events are free, but still check with your local library.